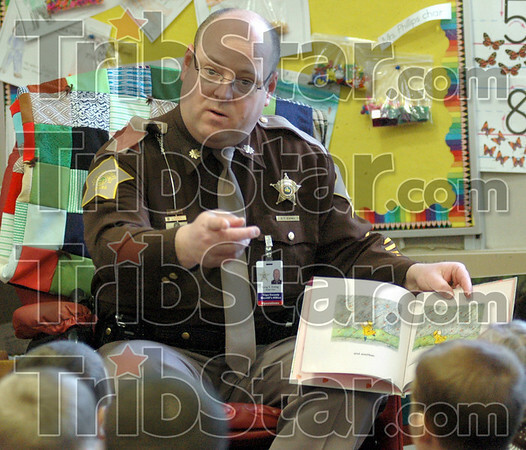 Principal for a day: Vigo Co. Sheriff's department Chief of Operations Greg Ewing acts as principal for a day at Sugar Grove Elementary School Thursday afternoon. Greg's mother was a secretary at the school for many years and he's connected with many teachers there. He's reading a book to a kindergarten class in the photo.